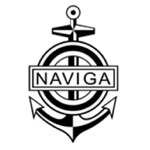 In addition to the official NAVIGA sailing classes, there often are a number of national classes, often for juniors. These classes often work as a building step to learn the sailing rules and become familiar with regatta sailing before the step is made into international regatta sailing in some official NAVIGA class. Contact your national organization to figure out which ones are popular in your area of the world. An event in sailing is called a “Regatta”, just as with the big boats. A regatta consists of many individual heats. Since there are often much more competitors, then the race officer is capable to handle, a heat is often divided into indivdual races. The typical maximum number of cometitors in a race is 15 to 20, depending on the skills of the race officer and the overall circumstances. If there are more then that number of competitors, they are divided into groups and each group sails a race on its own. There are a number of scoring systems available, which collect races into heats and guide the competition through the regatta. But don’t worry, while this may sound complicated, as a competitor it is not your job to take care on that issue. When it is your turn to race, the race officer will call you. Oh, and yes: RC-sailing in section S is done at almost all weather conditions.